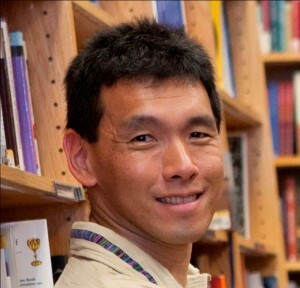 Dr. Jerry Park is an associate professor of sociology at Baylor University. He graduated from the University of Virginia with a B.A. degree in psychology (minor in sociology) and earned his masters and Ph.D. degrees in sociology from the University of Notre Dame. His research interests include the sociological study of religion, race, identity, culture and civic participation, with a particular focus on Asian Americans. Recent publications have covered religious media consumption, religious attitudes of academic scientists, and Asian-American religiosity. Currently his research focuses on the role of religion and entrepreneurial and work behavior, as well as religion and racial stratification attitudes. His undergraduate teaching is in race/class/gender inequalities and at the graduate level, he teaches a seminar on the sociology of culture, identity and religion, and the sociology of religion, race, and gender.